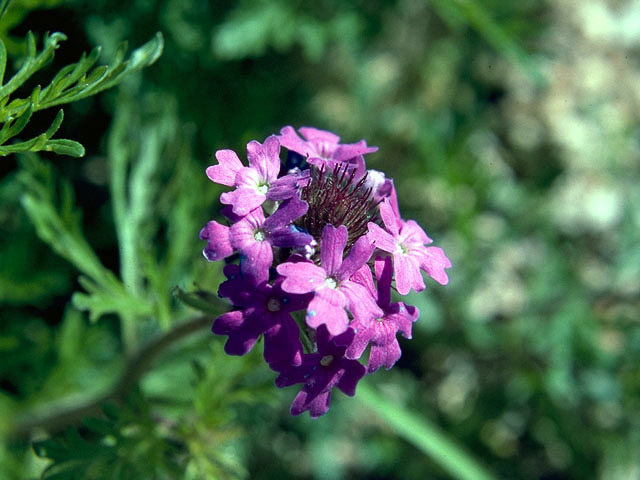 Dakota verbena is native to the American southwest. It appears in fields, grasses, and scrublands. Plants: Plants are annuals or short-lived perennials, 4-16" (10-40 cm) tall. They are variable, sometimes low and matted, sometimes taller. They may cover wide expanses of ground. Stems are branched and ribbed, and purple or green; and both stems and leaves are hairy. Leaves: Opposite, twice pinnate, thick, dark or gray green, hairy, up to 2½" (6.3 cm) long. (Technically the leaves are pinnatifid, that is, the divisions don’t reach all the way to midveins.) Leaves are rolled under, and have deep veins. Flowers: Rounded, almost spherical clusters of pink, lavendar, or purple flowers, about 2" (5 cm) around. Each flower has five notched petals and a thin tubular throat (the corolla) up to ½" (1.5 cm) long. The calyx of each flower in this variety lack glands, while G. bipinnatifida var. ciliata is densely covered with glandular hairs. They appear from February to October. Fruits: Four nutlets, each ¹/₁₆-⅛" (2-3 mm) long. Glandularia bipinnatifida var. 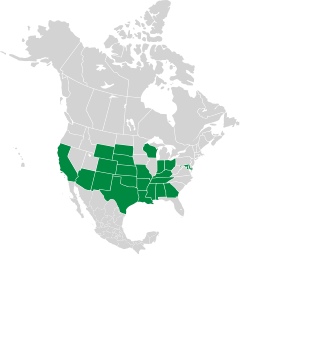 bipinnatifida description by Thomas H. Kent, last updated 12 Oct 2018.